Aphorism: Enough Black Hole jokes now.. Xhul'horac is dead. Enough Black Hole jokes now.. Xhul'horac is dead. 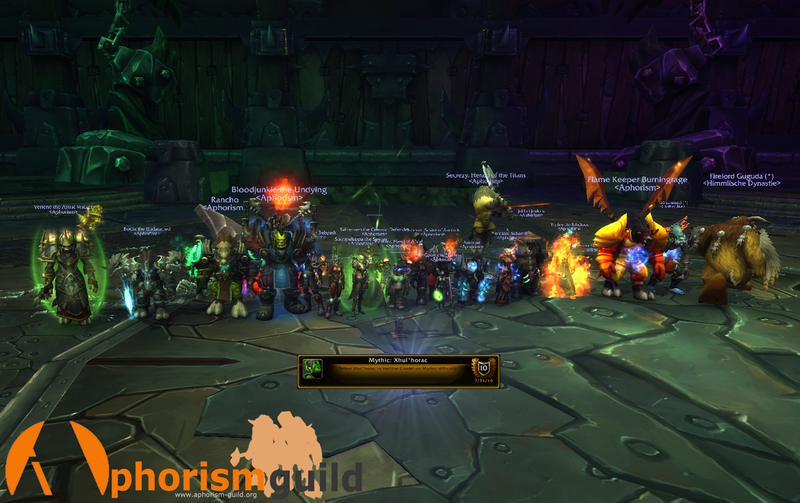 After taking some short time out for summer we have been working with lots of new additions to our raid team and having some good, fun raids to push to clear all the Mythic content before Legion. I'm happy to report our first new boss attempt in a while went down in around a dozen or less pulls. Just 2 bosses left now, expect more stuff to be killed in the near future! GJ Aphozoids!